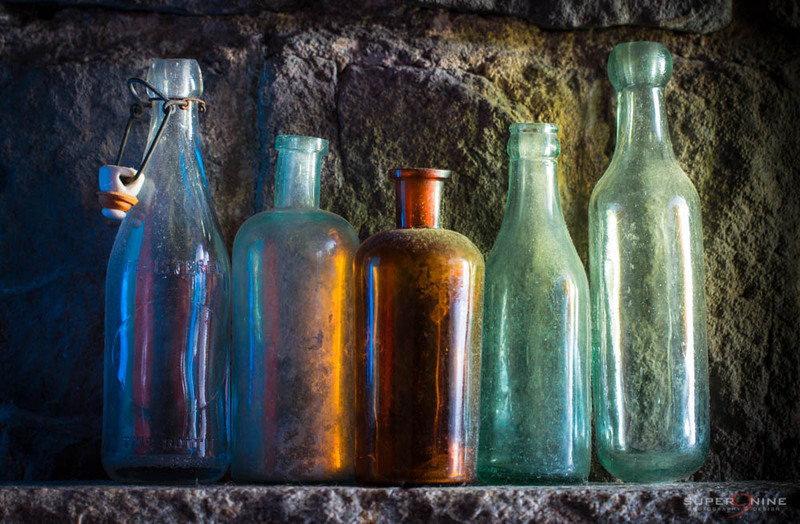 I recently joined the North Haven Camera Club and participated in my first group competition – the theme was “Bottles”. Step one was finding some interesting old bottles, so I called my neighbors Lynne and Deb who used to own Azteca’s Restaurant in New Haven. 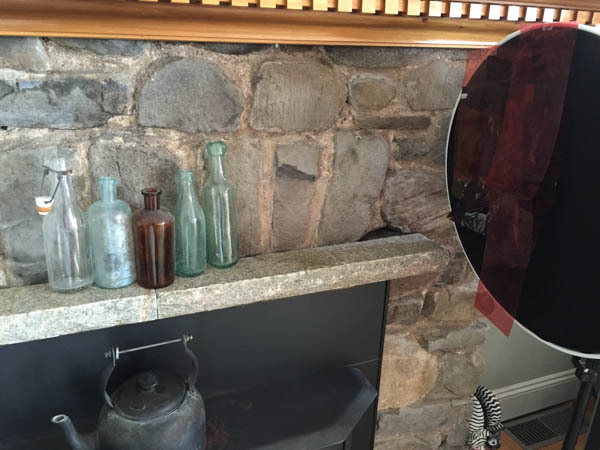 Their house is filled with wonderful treasures from many years of collecting, and they loaned me a few old bottles with probably decades worth of authentic dust and grime. Below are behind-the-scenes shots. I used black glass for the base, red matte board for the background, and a snooted and gelled flash on the floor behind the table, shining up onto the red board. On the right, is the original image straight out of the camera (SOOC). 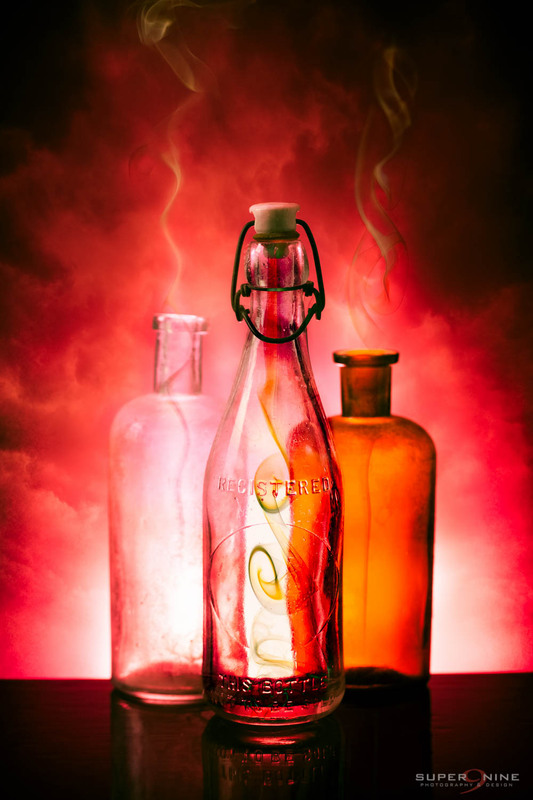 Oh, and the smoke in the bottles, and cloudy background was added in Photoshop. 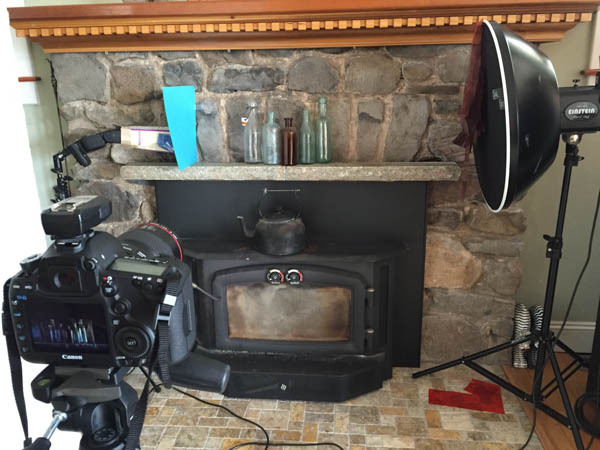 Here’s an image with my fireplace as the background, and below are behind-the-scenes shots. I used a gelled snoot made from a mac ‘n’ cheese box. 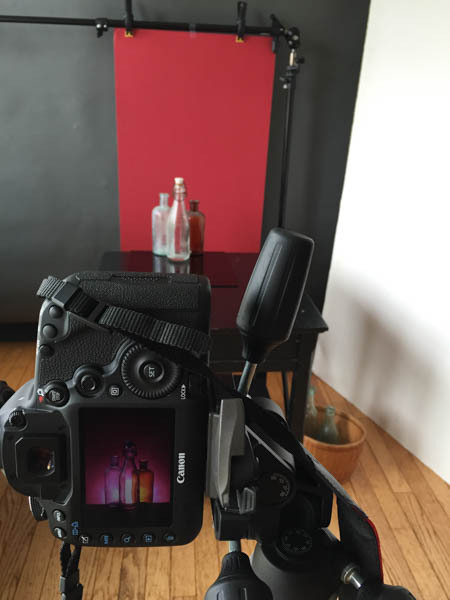 In order to get the blue reflection on the left bottle, I added a blue piece of paper in front of the snoot. On the right was a gelled, gridded beauty dish. I also borrowed some new bottles from my friend, Chrissy. 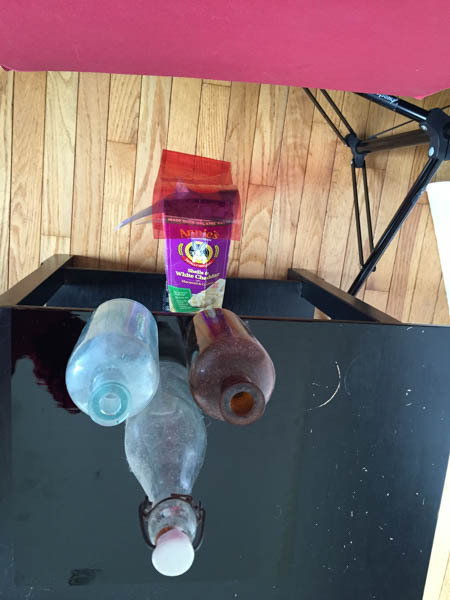 Here’s a “new” bottle with food coloring swirled into it. 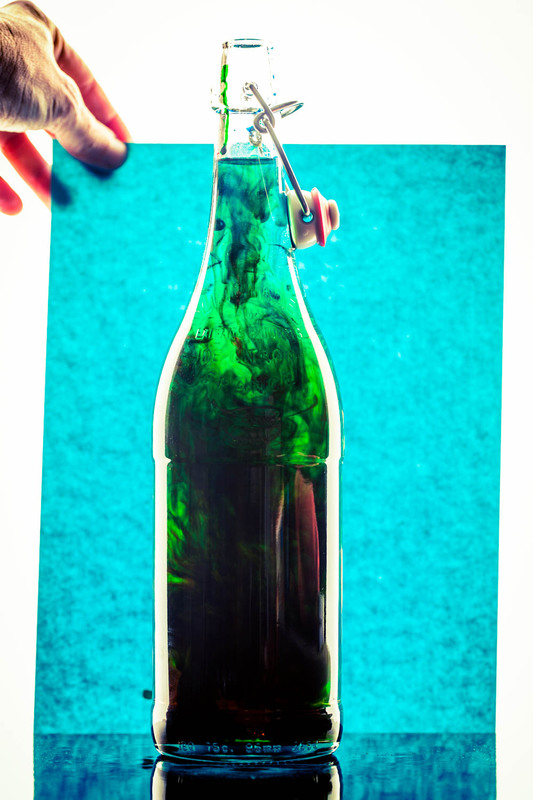 The white background was created using a softbox, and the blue texture was just a piece of paper that I held between the bottle and the light. 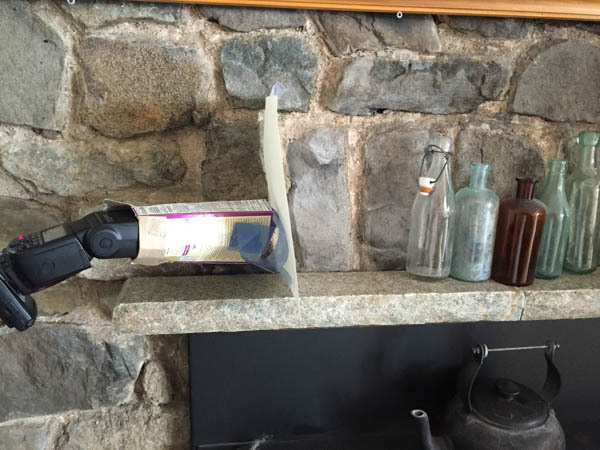 The final image was cropped and tilted. 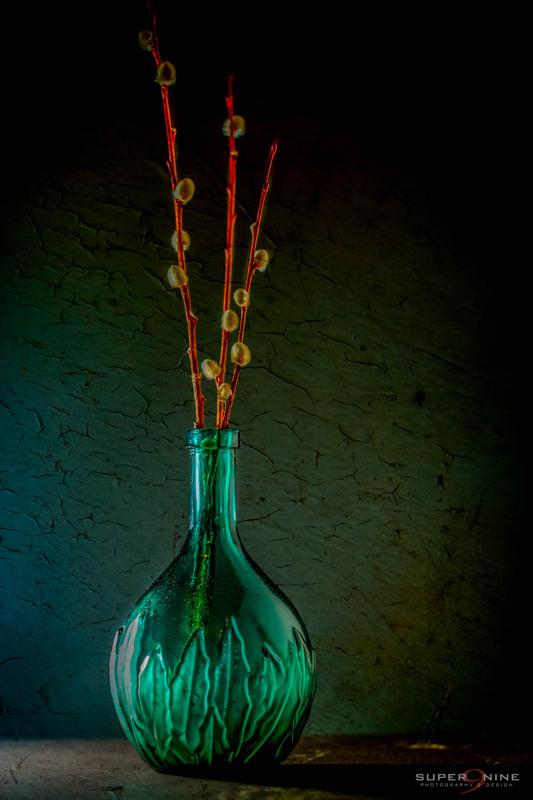 Lastly, one of my favorite vases that I re-purposed from a tequila bottle. Your talented just bursts in these photos. Awww… thanks, Lynne! 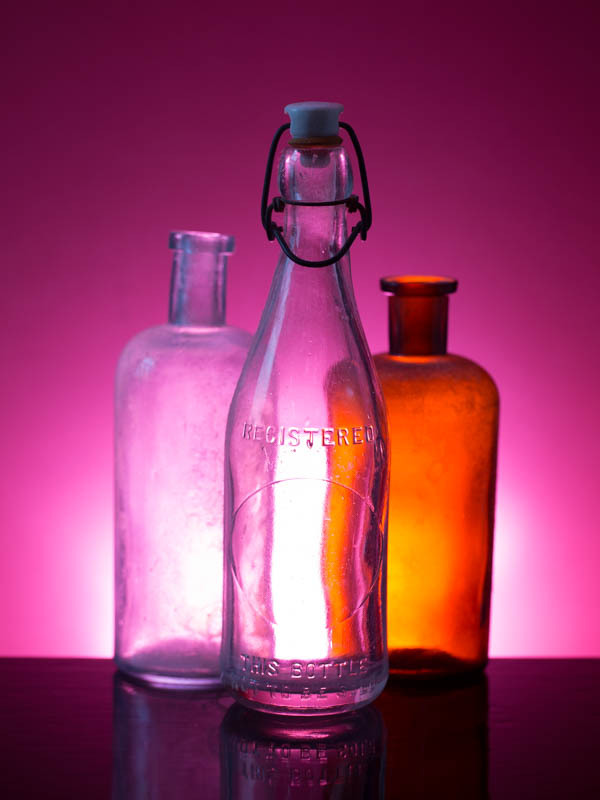 And thanks for the use of your beautiful bottles!